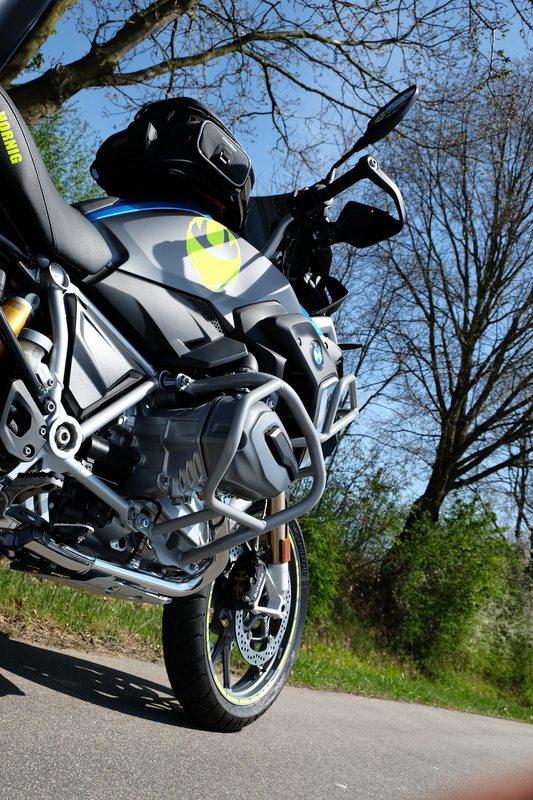 Since the beginnings of R1200GS in 2004, the BMW top seller was adapted several times and equipped with the latest technical innovations. 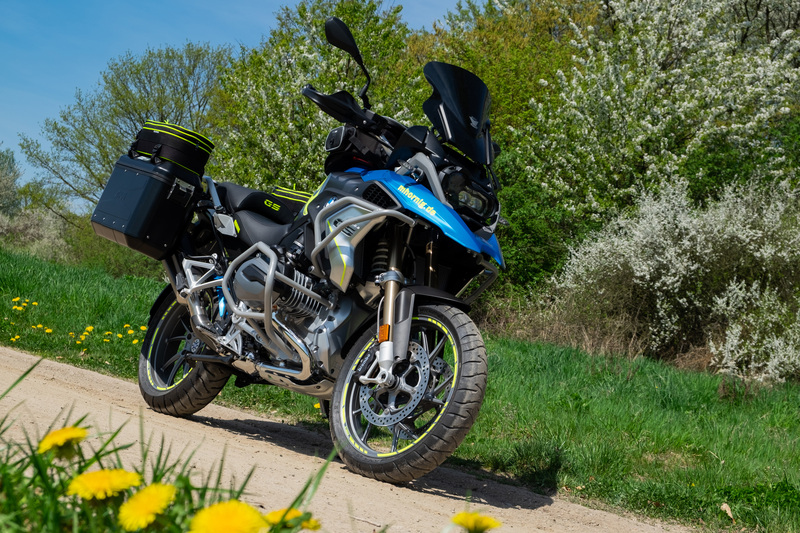 Possibly, the most striking innovation of the 2018 model is the high-quality 6.5 inch full-colour TFT display which provides fast and clear information for the rider with the least possible distraction from what is happening on the road. 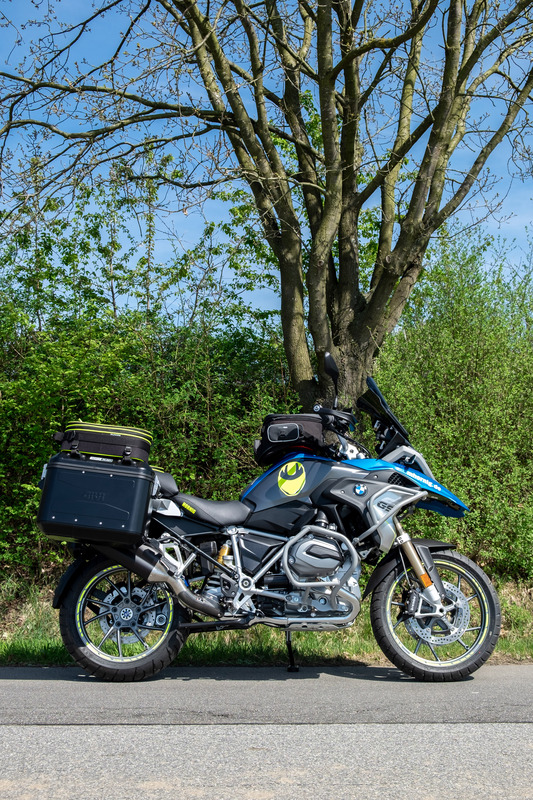 We took the 2018 R1200GS as a basis for our conversion, with the aim to make it even more attractive when it comes to security, comfort and individuality. More safety on the road is provided by our mirror extensions which permit a free view to the following traffic. Thus, the driver can better assess the current situation. 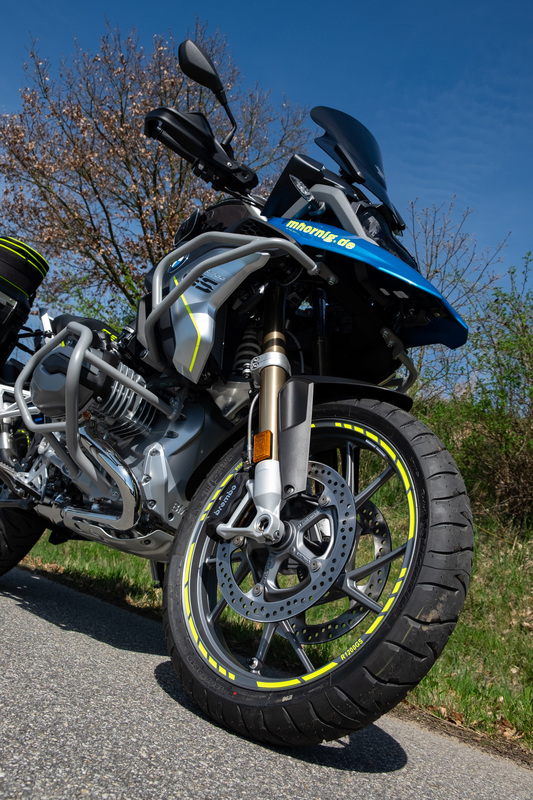 Our side stand foot enlargement in combination with the corresponding heightening part enables a safe position of the motorcycle on all terrains and also facilitates the lifting of the R1200GS LC. 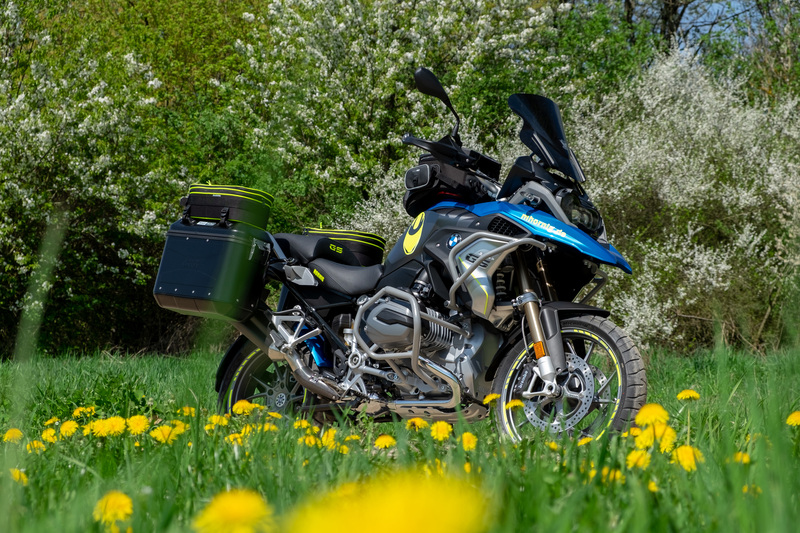 Thus, you need far less power to haul up the motorcycle into a vertical position again when it is parked on the side stand which enormously increases the driver's comfort. 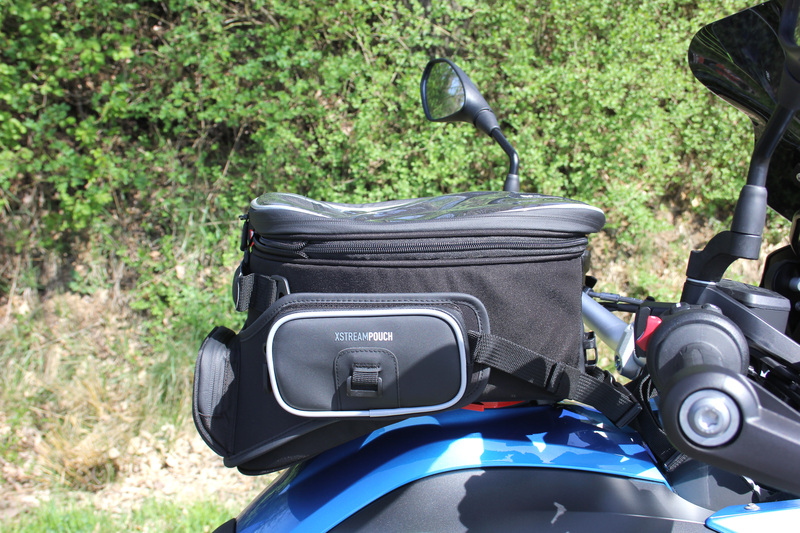 If the motorcycle falls over, the cardan is best protected by our cardan crash pad. 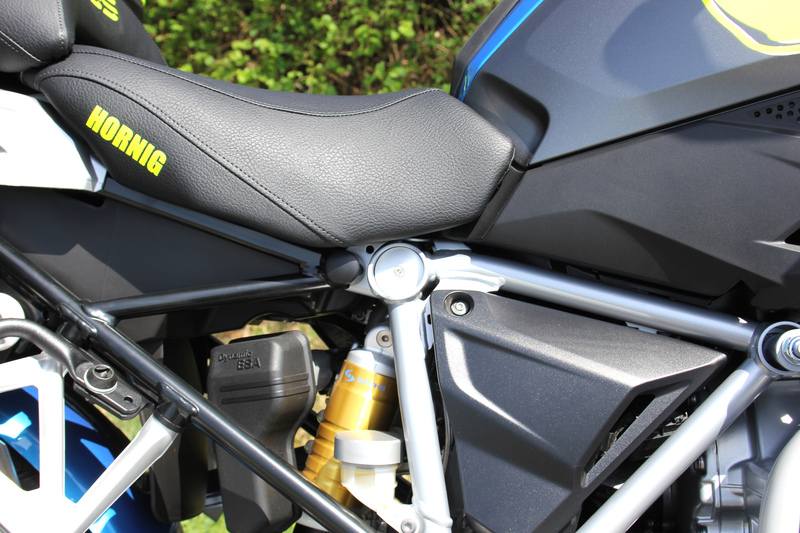 Our engine crash bars in combination with the fairing crash bars are an optimal protection for the cylinders and the paintwork. 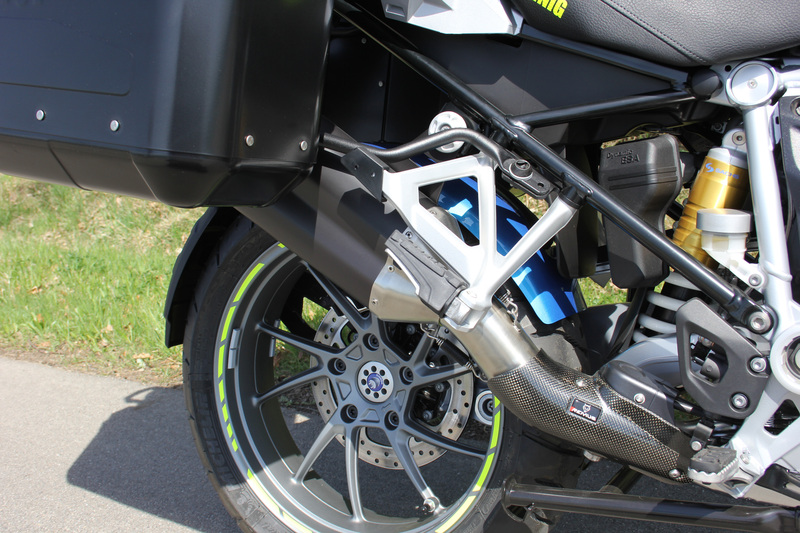 Our ABS mudguard for the rear wheel keeps splash water, dirt and stones away from the motorcycle and the driver and passenger. With our cooler protection we prevent dirt, stones and insects from damaging or smutching the cooler. Our especially designed oil filler plug with emblem avoids the theft of the oil filler plug and a possible contamination of the engine oil by the fact that it can only be opened by means of a Allen or Torque key. In order to improve the driving comfort, we first replaced the original windshield by a ZTechnik V-stream windscreen. This windscreen creates excellent aerodynamics and reduces noises caused by air draft to a minimum. 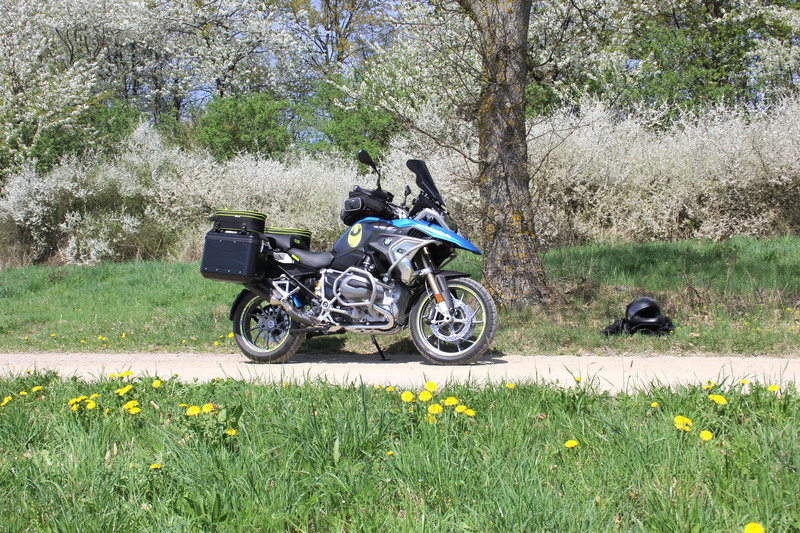 To further enhance the comfort on longer tours, we modified the seat of our R1200GS. The modifications make sitting on longer distances much more comfortable whereby you are more relaxed when reaching your destination. Moreover, our handlebar risers with offset lead to a more upright and comfortable sitting position by raising the handlebar by 30mm and bringing it 24mm closer to the rider. Our brake and shift lever extensions enlarge the surface of the pedals and have a non-slip structure. Thus, they avoid that the driver's foot slips off or does not find the pedals. 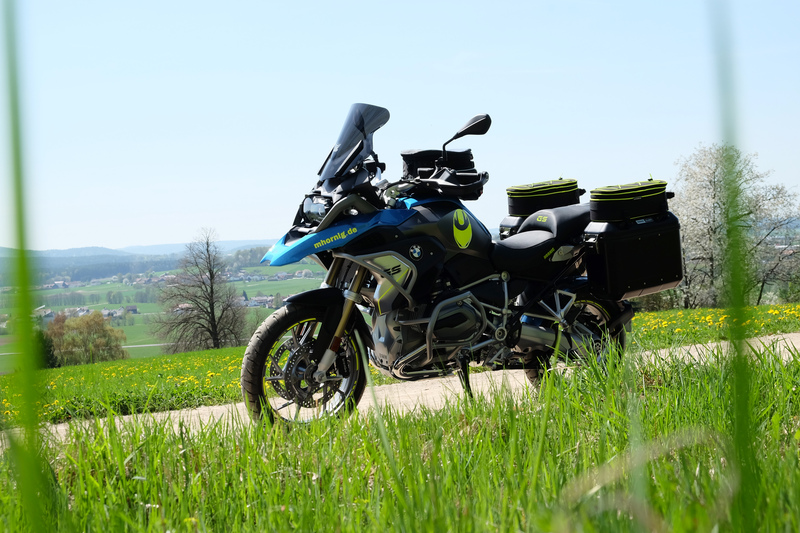 Furthermore, our GPS mounting, which includes the proper mounting kit for the R1200GS LC, increases the driving comfort by positioning the navigation system in a way that the driver always has a good view onto the GPS device. On long journeys, another important factor for driving comfort is having enough storage space for the entire luggage. 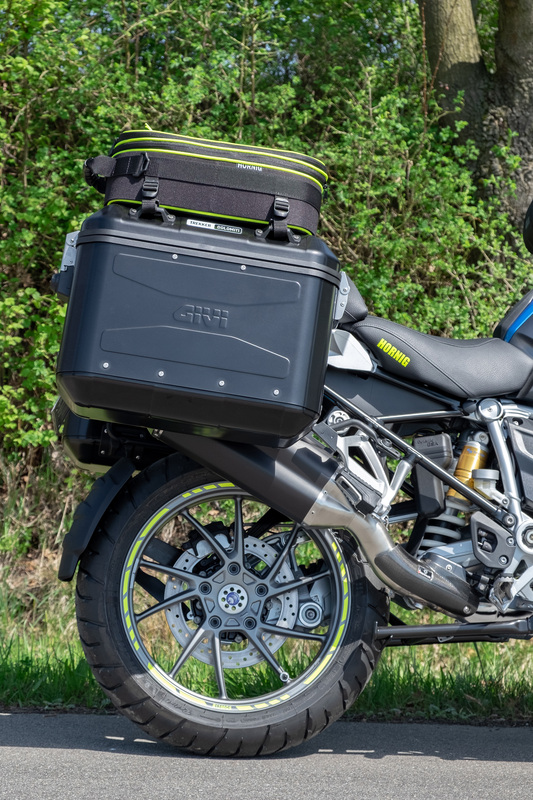 Therefore, we equipped our R1200GS with black Trekker Dolomiti side cases which are mounted to the motorcycle by means of a proper mounting kit. To create more storage space, we additionally fixed our universal bags on the side cases. Valuables and other smaller items can be stored in the tank bag with a capacity of 20 litres which is mounted to the tank filler cap by means of a special mounting kit. 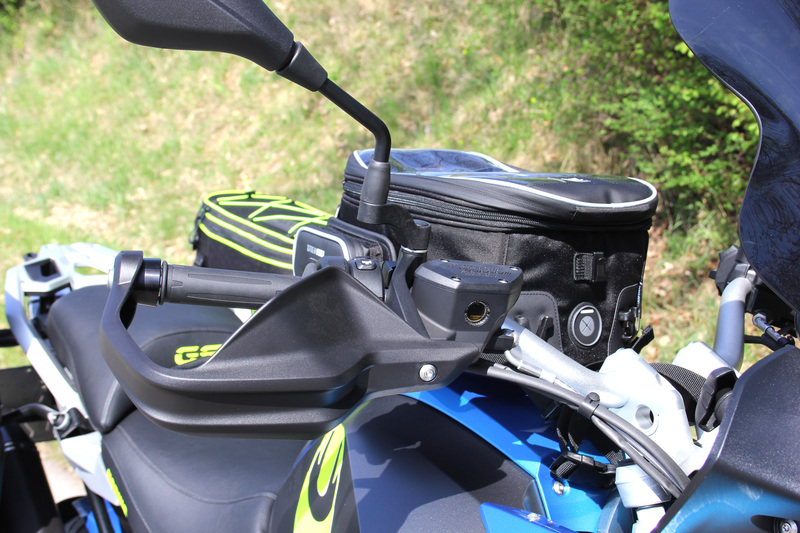 Thanks to the useful quick lock system, the tank bag can easily and quickly be fixed and removed. 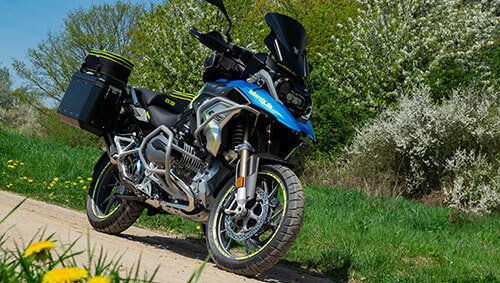 In order to give our R1200GS an individual character, we first painted the beak area and the upper tank part in a powerful blue colour. Our rear ABS mudguard was painted blue, too. In order to create a striking contrast, we used several trendy highlights in neon yellow: our Hornig writing on both sides of the beak, our helmet logo on both sides of the tank and some details on the seat are designed in neon yellow. Moreover, there are some neon yellow colour accents on our universal bags and the rim stripes. 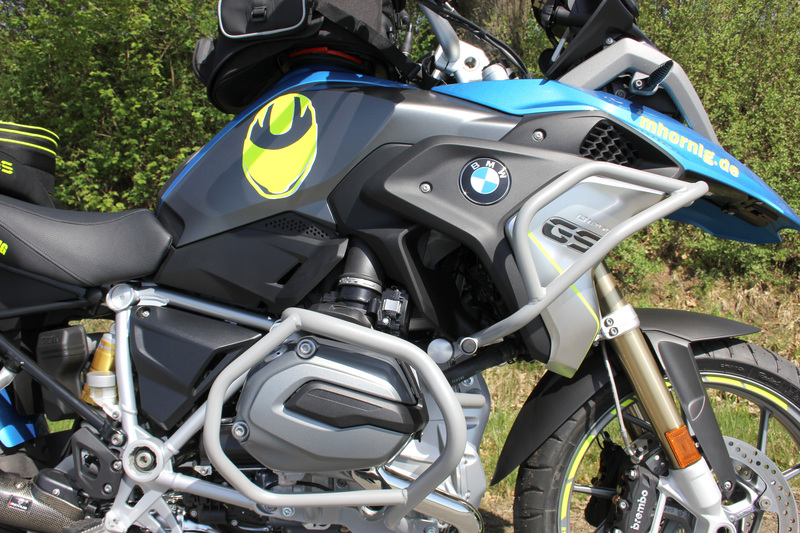 An elegant look and a throaty sound is provided by our Remus 8 and our covers for the foot brake fluid reservoir, the frame and rear frame and the suspension mounting add even more highlights to our R1200GS. 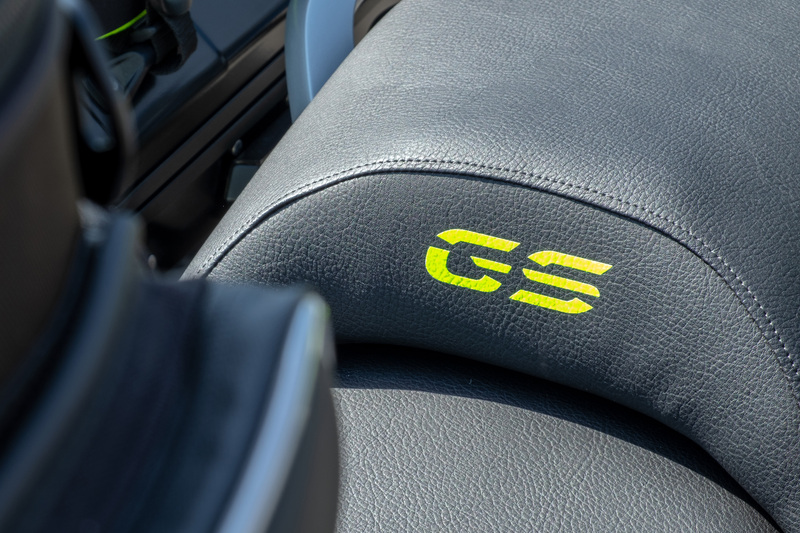 The modern look is completed by our silver rear wheel centre cover with emblem.